Increasing The Value Of Your House. Should I Renovate? For anyone living in Brisbane, Annerley’s transformation over the last decade is no secret. You’ll find plenty of post-war 3 bedrooms homes that have been totally renovated, with owners turning these modest 1950s houses into modern homes that can often fetch $800,000 or more. You’ll also find plenty of historic, pre-war Queenslanders that come up beautifully when renovated or extended. So is it worth the time, energy and budget to renovate your home? If you’re looking to sell, should you renovate beforehand or save your pennies and rely on Annerley’s great location to get you a good price? It’s important to make smart choices when renovating so you don’t overcapitalise and spend more than you can expect to recoup. Spend some time getting to know the area and the current market value, both for your current house and what you might expect once the reno is complete. In Annerley, the average 3 bedroom house price is $692,000, and we’ve helped many clients sell their home for well above that. One example is this home with a new kitchen, updated bathroom, fresh paint and restored floorboards – that sold for $750,000. As a general rule, renovation gurus say you want to get about $2 back in added value for each dollar you spend on the renovation. Using the example above, if you’re hoping to add $60,000 to the value your place, then your renovation budget will be about $30,000. But renovation costs can vary greatly and there are obviously no hard and fast rules. It is essential to make sure your design choices are in line with current trends, otherwise you can be at a disadvantage when competing with other properties. A great example of a stylish renovation is this 5 bedroom Queenslander we recently sold on Pitt St.
Any serious buyer will have a building and pest inspection before they commit to buy, so if you’re renovating with a view to selling you need to make sure your property renovations take into account any building codes and standards. 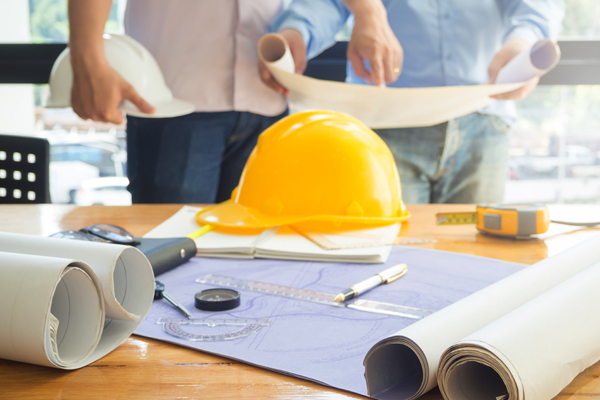 This particularly applies to any structural work, but also across the board for any type of building work including electrics and plumbing, so call in the experts and get the right advice before starting work. Kitchens and bathrooms will often give you the best return on your investment. There is so much potential in each, with the ability to update benchtops, fixtures, lighting, grouting and floor tiles. Just adding some stainless steel features and stone-laminate benchtops to your kitchen, plus freshly painted cupboards, will make a huge difference. It’s important to give your house a modern and stylish edge without going overboard on the budget. Choose quality fittings, fixtures and appliances but don’t go for boutique options if your target sale price doesn’t warrant them. Two quick wins for making a good first impression without the hassle of a full reno when it comes to sell are painting, and landscaping. Painting your home can be a really cost-effective way to make it seem new and stylish. Find out which colours are in fashion, both inside and out, and go with more neutral colours to appeal to as many potential buyers as possible. After you’ve spruced up the outside with a new coat of paint, turn your attention to the landscaping. You’ll probably find some easy jobs in the garden that will make the front of your property look clean and inviting. Don’t do your renovation alone. If you’re planning on renovating to sell, make sure your money is spent in all the right places by calling on a trusted local real estate agent to advise you. We are experts in the inner-South of Brisbane and happy to help you learn what your home is currently worth and what a good price maybe if you renovate. Get our latest articles & videos straight to your inbox. It’s just easier that way. Email agent about Guide To Renovating In Annerley.